Star Wars: Revenge of the Sith will be officially released tomorrow, worldwide! 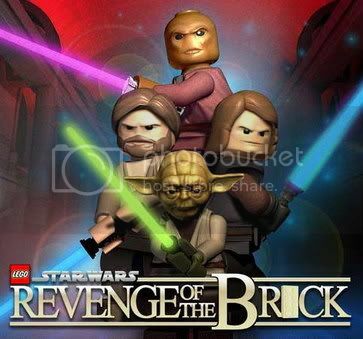 Until then, check out Star Wars: Revenge of the Brick! Yup, it's a 5 minutes CGI movie made out of Lego bricks based loosely on Episode III. It's rather hilarious (especially the Clone Trooper Orchestra led by Darth Vader) and cute at the same time. This is absolutely hilarious. My colleagues & I love it! :) I wish it was longer. You should check out the making and the full Darth Vader Orchestra as well. Star Wars: Revenge of the Brick This is absolutely hilarious. My colleagues & I love it! :) I wish it was longer. You should check out the making and the full Darth Vader Orchestra as well.